$50 Gift Certificate For MOON OVER MAIZE!!!!! Holy cow- I have the best sponsors!!!! One of my FIRST and of course FAVORITE sponsors is Moon Over Maize. 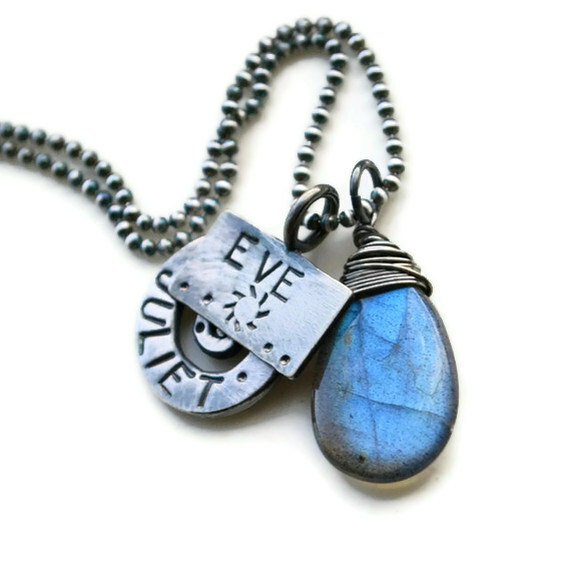 She makes beautiful jewelry, and some especally amazing stuff for mothers, midwives, and home birth mamas. Oh and did I mention that she is doing a FABULOUS giveaway RIGHT NOW ON THIS HERE BLOG? Yeah- FIFTY BUCKS towards anything in the shop! 1) Go and LIKE her Facebook page- HERE. 2) Leave a comment on this here blog post letting me know that you liked her page. BUT- leave your e-mail address (and then answer your e-mail if you win) because I can't give you anything if I can't contact you!!!! 3) While you are waiting for the contest to end on Tuesday evening, go shop around her Etsy shop. You will LOVE IT! How awesome is this? You can get your kid's names on it! And if you don't win- you can still get yourself something wonderful, or put it on your birthday wish list. I have been a fan over Moon Over Maize on FB for years and my hubby got me a birthstone necklace! I shared her page (again) on my FB wall and I can't wait to find out if I won on Tuesday! Liked!!! Such super cute stuff, why didn't I know of her before!!? I just "liked" her fb page. She offers a garnet necklace that is so beautiful! What lovely jewelry she creates! I would be happy to wear a necklace or to give it to someone I love. I really want the doula necklace, have been ooogling it for months! Wow these are absolutely stunning! So in love!! <3 Thank you for teaming up and for the chance to win!!! Oh yay for this giveaway. Her stuff is beautiful. <3 Just lovely. I like Moon Over Maize on fb! karencroos @ yahoo dot com. I LOVE all of her "rough" gemstone pieces. And I was excited to read on Facebook that her new pieces will be made with recycled metals! Liked! Wish that FB had a LOVE button!!!! I'll try again...google issues! I love her necklaces! I would love a birthstone necklace! Love her stuff, thanks for sharing this! I have been wanting a homebirth necklace from her for awhile just havent been able to spend the money, its been tight this would be so awesome to win! Liked on FB! Love her stuff and would proudly wear a home birth necklace any and every day! Liked her a long time ago! OOh! I totally "liked" it! And I do like it! I have liked her stuff for a while. I would love to get one of her necklaces. But we have been unable to afford it. What beautiful jewelry! I liked Moon Over Maize on FB. My email is sjoutlaw@gmail.com. Thanks! I have been a Moon Over Maize fan for quite some time! I'm glad it has brought me to this teriffic blog! Anyway, my addy is jennyvangy at gmail dot com. I liked her page! Would love to win some jewelry! I liked her page, wow Her jewelry is Amazing!! Such talent!! I'm so jealous and would love to show off her work. I would have liked her page even if you weren't doing a giveaway. I'm bookmarking her etsy store, too. Gorgeous!! Oh, I have loved her stuff for awhile but never liked on facebook till today! DERP! So now I've liked and am drooling all over again. I liked her facebook page. I have drooled over her stuff for a while now. Shared too! Liked her fb page! :) Love her work! 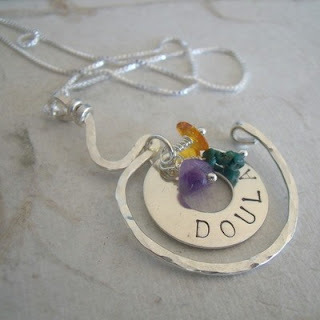 As a doula I would LOVE one of these gorgeous pieces! My sister got me a home birth necklace after I had my sin. I cherish it and would love to give this to her!! I like her on Facebook. I have a necklace & earrings from her & would love another piece of her jewelry. And I like your blog.